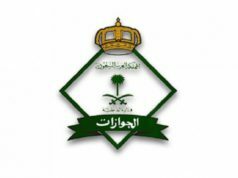 In pursuance of the Saudi Vision 2030, the Kingdom has adopted various initiatives and measures to open doors for the healthy entertainment and amusement for the citizens and expatriates of the country. Such measures range from arranging the music concerts, WWE events to the upcoming Formula E-racing competition. The Formula E-racing competition was announced almost a month back, however, the responses to the said event have been quite impressive and cheerful. 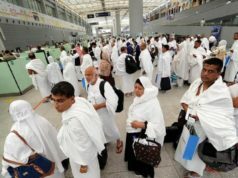 Every expatriate in the country can enjoy the above upcoming event but it will be a great joy and excitement for the expatriates in Riyadh and expatriates in Dammam since the event will take place in Riyadh. The 11 teams and their participating drivers will experience 22 second-generation Formula One cars, while the audience will witness many entertainment, cultural and musical events which will be the largest in the Kingdom. It is believed that organizing such events like Formula E motor racing will bring the fruitful changes in the country. 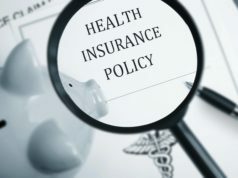 Such initiatives will help to increase the revenue also which in turn will make the economy stable and prosperous to achieve the desired objectives and set goals. Diriyah, a registered UNESCO World Heritage Site, has a world-class racing circuit, with a length of 2,495 meters at 21 meters. 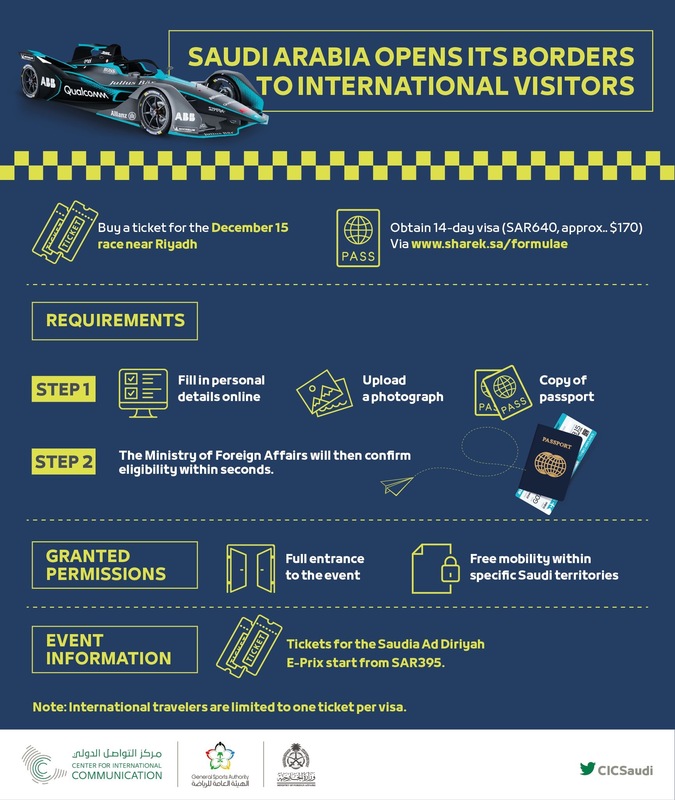 THE INTERNATIONAL MOTOR RACING FANS WILL BE GRANTED 30 DAYS SAUDI VISIT VISA TO TRAVEL TO THE KINGDOM FOR PARTICIPATING IN FORMULA E RACE. THE SAID EVENT IN SAUDI ARABIA IS ANNOUNCED TO BE HELD AT THE SAUDI AD DIRIYAH E-PRIX NEAR RIYADH, On DECEMBER 15, 2018. 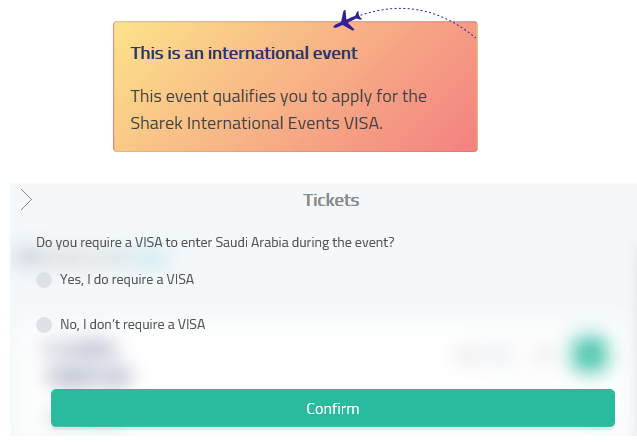 The Saudi Visit Visa can be obtained easily but subject to the condition that the applicant must have purchased the race tickets through the “Sharek” platform, which was launched recently and has seen high demand from various countries in Europe, Central America, South America, Africa, the Caribbean and Asian countries like China, Japan, and Singapore. Step 1: Click here to open the link. Step 2: Once the website is open, Click on Book Tickets. Step 3: Then you will see a below message, you need to select “Yes, I do require a VISA“. Step 4: Select your Nationality. Step 5: Then select the number of tickets required. 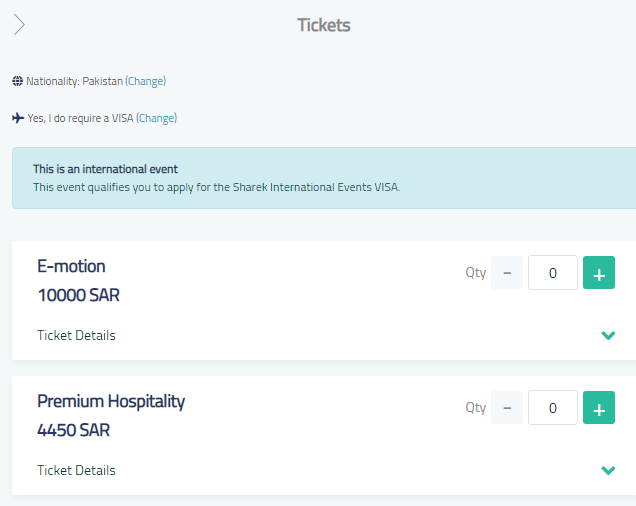 Step 6: Click on Book Tickets and you will see a new window, where you need to login. Note: If you don’t have an account please click on “Register“. Ticket prices start from SR 395 which gives access to the grandstands and events organized on the sidelines of the race. 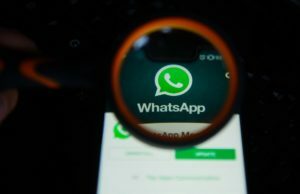 Latest Updates: You are most welcome to join our Whatsapp Group to get the recent updates, news, and events of Saudi Arabia.